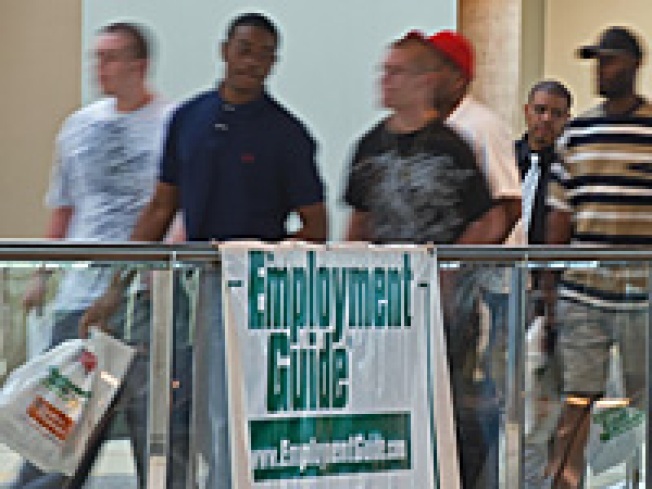 The number of people filing new claims for jobless benefits jumped last week after three straight declines, another sign that hiring remains weak, while consumer prices fell. The Labor Department says initial claims for jobless benefits rose by 12,000 to a seasonally adjusted 472,000, the highest level in a month. Economists had expected claims would fall to a seasonally adjusted 450,000, according to Thomson Reuters. The number of people continuing to claim benefits rose by 88,000 to 4.57 million. At the same time, consumer prices fell for the second straight month, extending a break for Americans' pocketbooks. Less expensive energy was the main factor pulling down prices. The Labor Department says the Consumer Price Index, the government's most closely watched inflation barometer, dropped 0.2 percent in May, following a 0.1 percent dip in April. So-called "core" prices, which strip out energy and food, edged up 0.1 percent in May, after a flat reading the month before. Also, the deficit in the broadest measure of U.S. trade rose in the first quarter to the highest point in more than a year as rising global oil prices and a rebounding economy pushed up imports sharply. The Commerce Department says that the deficit in the current account increased to $109 billion in the January-March period, compared to a revised $100.9 billion in the fourth quarter of last year. The current account deficit narrowed to $378.4 billion in 2009, down a sharp 43.4 percent from the 2008 deficit of $668.9 billion. The big drop reflected a deep recession in the United States which cut demand for imported goods. But with the U.S. economy recovering, analysts believe the trade deficit will increase this year.